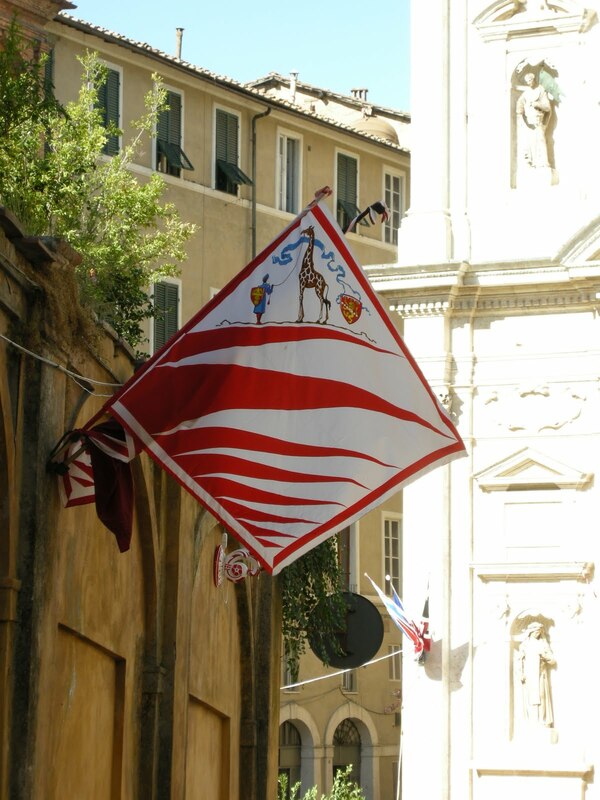 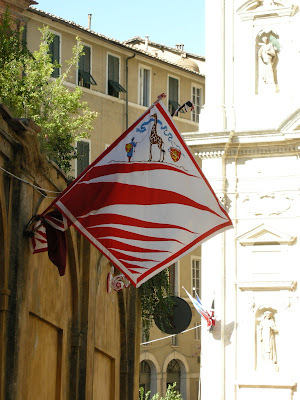 The contrada Giraffa won the palio this last August. 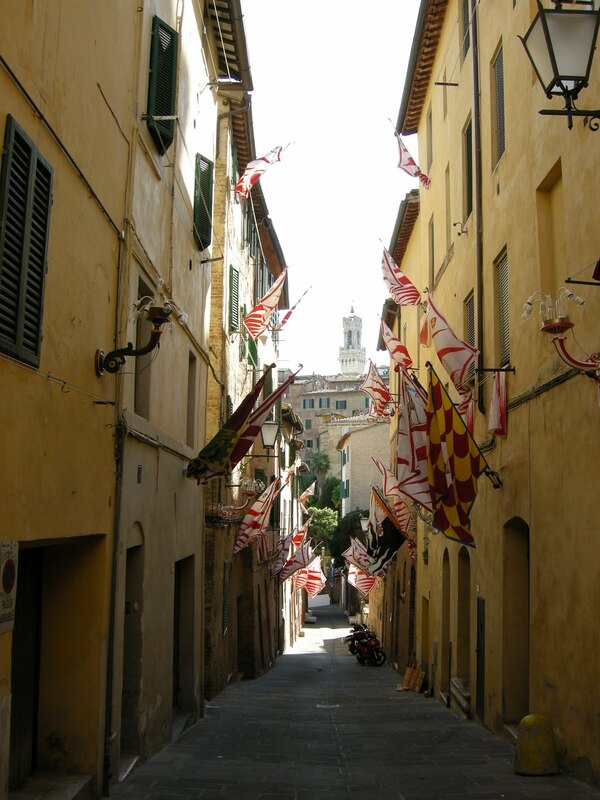 Their flags are still flying all over their neighborhood. 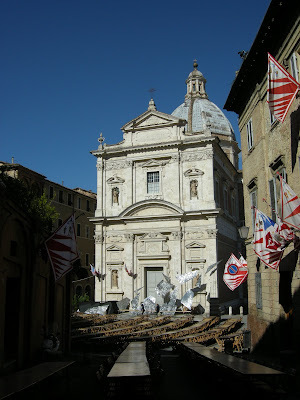 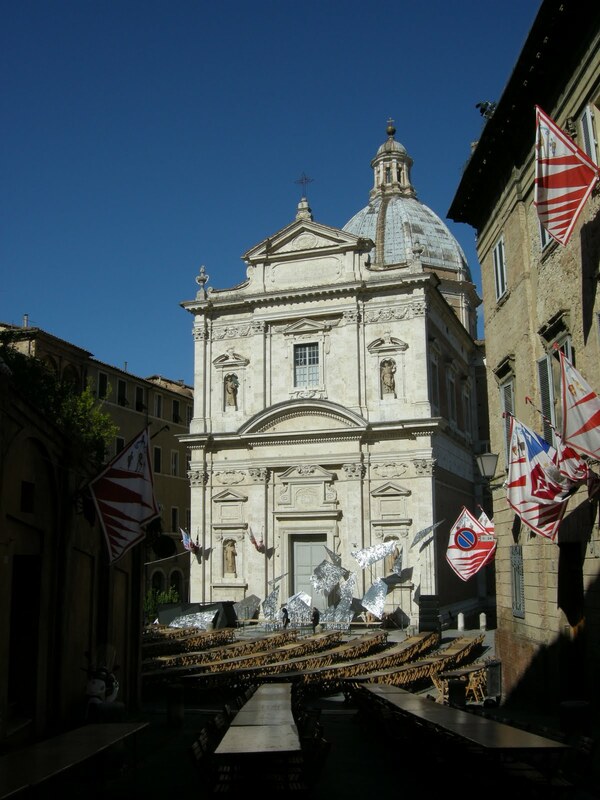 and lots of tables in the piazza in front of the big church. 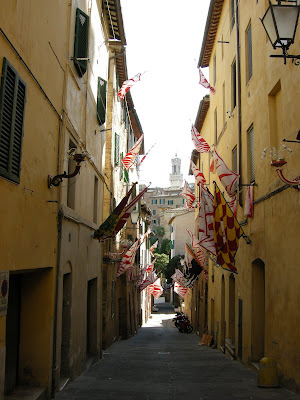 The flags looked gorgeous in the afternoon sun.